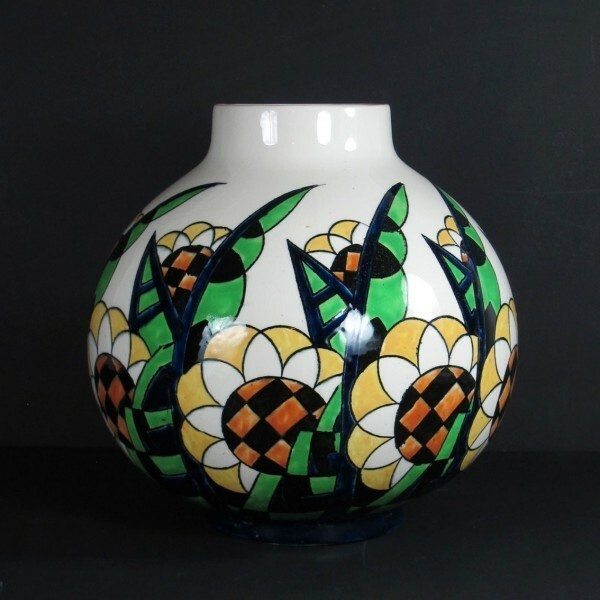 Large round-bellied vase , art deco period, by Charles Catteau KERAMIS. Magnificent decoration of stylized flowers and foliages black yellow and green on off-white background.Perfect condition. This item will be shipped from Paris, France.